It’s interesting that Galloway would bring up such a point, since Planned Parenthood has issued polls of their own, which have purported to show that a majority of Americans don’t want to defund the abortion giant. But is Galloway correct? Can the way a question is asked skew poll results? Overall, 56 percent of those polled in Utah expressed a “very unfavorable” or “somewhat unfavorable” view of Planned Parenthood. Thirty-seven percent fall in the “somewhat favorable” or “very favorable” category and eight percent “don’t know.” It is worth noting that those with the most unfavorable view of Planned Parenthood made up a plurality, at 40 percent. The results were split along party lines, with Republicans mostly having an unfavorable view and Democrats having a favorable view of the group. Unaffiliated voters were also shown to have an unfavorable view of the group, 50 to 43 percent. Some Republicans in Congress say that because of the undercover videos released by the Center for Medical Progress, there should be an immediate vote to end all government funding for Planned Parenthood, including for services Planned Parenthood provides, such as cancer screenings and family planning. 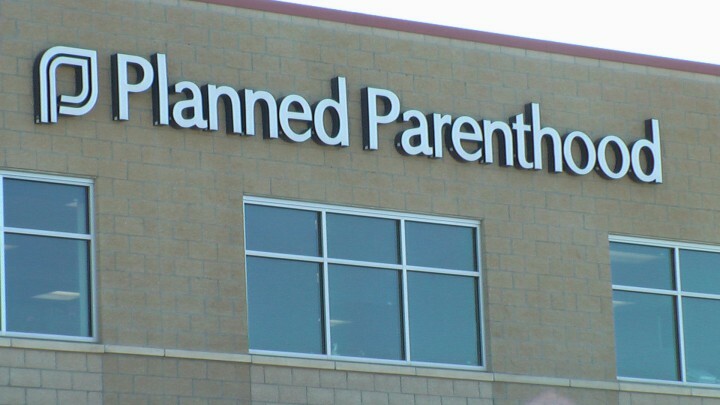 Do you strongly agree, somewhat agree, somewhat disagree, or strongly disagree with the Republicans who say Congress should vote immediately vote to end all government funding for Planned Parenthood, including for services Planned Parenthood provides, such as cancer screenings and family planning? As The Weekly Standard points out, the question never mentions abortions, or that the services mentioned are provided at other Federally Qualified Health Centers. Planned Parenthood released another poll through Hart earlier this month, which focused on voters in New Hampshire, Ohio and Pennsylvania, targeting their Republican senators. When the question was asked a different way, more participants said they backed federal dollars for Planned Parenthood specifically to provide those services. Overall, 54 percent supported federal funding of Planned Parenthood, and 26 percent opposed it. But 44 percent of respondents who saw the videos said they now have a more negative view of Planned Parenthood, compared with 34 percent who said their views were unchanged…. The public has not only been misled through Planned Parenthood’s biased polls, but likely because of the mainstream media. As Townhall has pointed out, a majority of Americans – 70 percent, have heard little or almost nothing about the investigation into Planned Parenthood, with around the same amount hearing little about the videos from the Center for Medical Progress. This unfortunate ignorance is also consistent with research Students for Life of America released in 2012. According to the group, 59 percent of young people ages 18-24 didn’t even know Planned Parenthood performs abortions. The group has since initiated the Planned Parenthood Project to get the truth out about the abortion giant. Planned Parenthood executives and biased polls may be attempting to influence the American public into believing they are a legitimate group which merely provides cancer screenings and family planning services to low-income women. Under the current CEO and president, Cecile Richards however, such services have actually gone down, considerably. Those against Planned Parenthood have the truth on our side. We need to be vigilant about getting that truth out, because when people learn what Planned Parenthood – which receives half a billion of our taxpayer dollars yearly – is doing, together we can expose and defund this abortion giant.